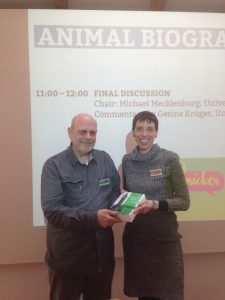 The conference was also my first opportunity to meet Mieke Roscher who very kindly gave me a personally dedicated copy of her doctoral degree, Ein Königreich für Tiere, Die Geschichte der britischen Tierrechtsbewegung (2009), which is a comparative study of the history and politics of the British animal rights movement. 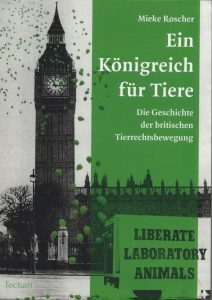 My animal rights work in the UK in the 1980s is discussed in her research, which is, sadly, only available in German. For more about Mieke Roscher’s research, check out her page on Academia. Mieke Roscher kindly gives me a copy of her research which includes an account of my animal rights work in the UK in the 1980s. 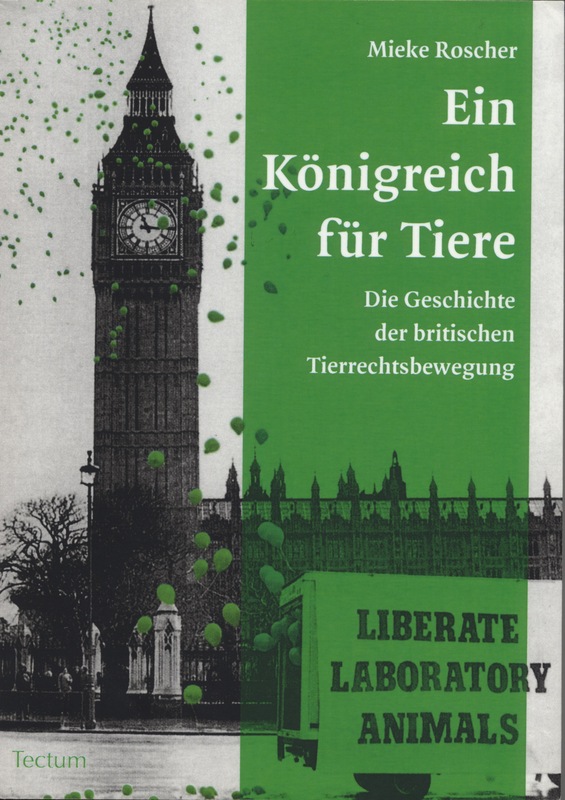 The research’s cover features a photograph of a publicity stunt we produced at the British Union for the Abolition of Vivisection in the 1980s. The protest involved releasing balloons from a van with a “Liberate Laboratory Animals” banner on its side parked in Parliament Square with Big Ben and the Houses of Parliament in the background. Of course, I would not now support any activity involving the release of balloons now that I know that they pollute the environment and end up in the stomachs of land and sea animals.